Our new book The NOW Revolution: 7 Shifts to Make Your Business Faster, Smarter, and More Social debuts February 1 (a few days later in stores). We want to make sure we get as many copies sold in advance as possible, as it helps convince the physical bookstores to order and promote the book. Plus, nothing says Happy Valentine’s Day like a book on social media’s transformative impact on modern business! So, to sweeten the deal, we’ve got a very special pre-order promotion for you, and 10 lucky winners will receive a NOW Revolution prize pack with great stuff from companies profiled in the book. 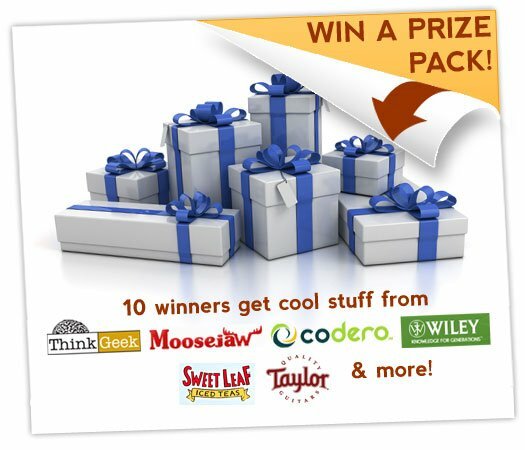 You’ll get prizes from Sweet Leaf Tea, Taylor Guitars,Swix, ThinkGeek, Moosejaw, and Codero! And a social media book from our friends at Wiley. Just pre-order 2 or more copies of the book by January 31 and email your receipt to info@nowrevolutionbook.com. We’ll randomly select and notify 10 winners on Feb 1, and ship you your prize pack after that. Good luck and thanks for your support! All major online retailers have the book on pre-order sale price of just $13.78 right now (cover price is $24.95).